An extremely crude, yet very dangerous fighter, Molineaux’s first fight in England took place at Tothill Fields, Westminster, and was preceded by a session of bull –baiting. With Bill Richmond acting as his trainer and second, Molineaux crushed 6ft tall Jack Burrows of Bristol, who was seconded by Tom Cribb, in just over an hour in front of a crowd of around 300 spectators. 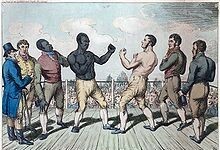 Molineaux’s second fight the following month was against ‘Tough Tom’ Blake, at Epple Bay, near Margate. Blake was upwards of 40 years of age, and the principal challenger to Cribb’s title, but he was no match for Molineaux who quickly dispensed with his valiant challenge, knocking him out in 8 rounds. With the subsequent fight report suggesting Molineaux had shown ‘great improvement in the science of pugilism’. 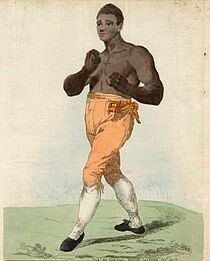 Having received intensive training from Bill Richmond, Molineaux weighed in at 198 lbs [90kgs] for his fight against Tom Cribb for the English title at Shenington Hollow, Oxfordshire in December 1810. Few people expected the fight to last very long, since it was widely anticipated Cribb would win comfortably within 10 rounds. However, the fight exceeded expectations, and in the 19th round the weary pugilists were locked in a hold from which neither could break free. As the referee stood by, the crowd pushed into the ring, and in the confusion Molineaux hurt his left hand so badly, it was thought it may have been broken. 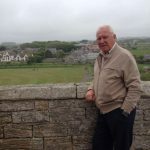 In the commotion which followed an argument developed as to whether Cribb had managed to ‘toe the line’ before the requisite 30 seconds had elapsed. If he had not, Molineaux would have been declared the winner and awarded the fight and the title. However, the referee was unsure, and allowed the fight to go on. By round 34, the distressed Molineaux was clearly ready to concede, declaring ‘me can fight no more’. Yet his persuasive second encouraged him to carry on, and he suffered defeat in the next round. Cribb, now in a state of semi-retirement, was looking forward to the quiet life, but this had to be put on hold, as all England was calling for Cribb to once again humble the American upstart in a return fight. People who had never before been interested in pugilism were suddenly enthralled by the possibility of a second encounter, as it became the subject of discussion in church sermons, social gatherings, and even in Parliament. Strangely, the problem most British people had with Molineaux had nothing to do with extreme racism. They were quite willing to give him credit as an excellent pugilist, and even overlook his numerous affairs with white women. 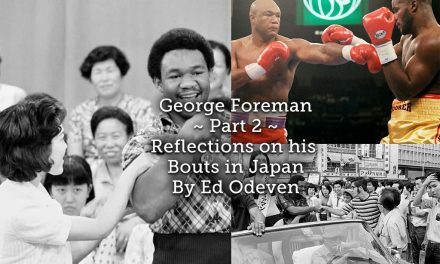 The greatest offense, in their eyes, was the fact that he was an American, and the notion that a foreigner might win England’s most sacred boxing trophy was unthinkable. Whatever the reason, Cribb couldn’t dodge the vengeful Molineaux, and retirement had to wait. The return fight, with the only man thought tougher than Molineaux at the time, was held in September 1811, at Thistleton Gap in Rutland. With both fighters having shed more than 14 lbs since their first fight the previous year, Cribb prepared for the fight with extensive training under the guidance of Captain Robert Barclay [1779-1854], the celebrated Scottish walker, whose most famous feat was walking 1,000 miles in 1,000 hours for 1,000 guineas. Molineaux fought a brave battle, watched by around 15,000 enthusiastic fight fans, but he was out-fought and knocked out cold in round 11 by the relentless Cribb, who to add insult to injury broke the American’s jaw. Shortly after the fight Molineaux parted company with his faithful mentor Richmond, and fired him as his trainer. 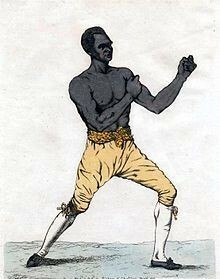 Molineaux fought several subsequent bouts before embarking upon a boxing tour in 1813, sparring in a series of exhibition bouts throughout Scotland and Ireland. 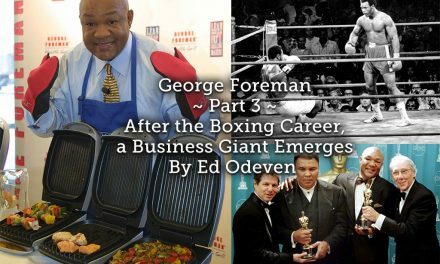 His prize-fighting career came to an end a couple of years later in 1815. In the latter stages of his life Molineaux became increasingly reliant upon alcohol, and suffered a spell in a debtors’ prison. He died penniless in the band-room of the 77th Regiment in Galway in 1818, aged 34. Tom Molineaux was inducted into the International Boxing Hall of Fame in 1997, and the Bare Knuckle Boxing Hall of Fame in 2010. 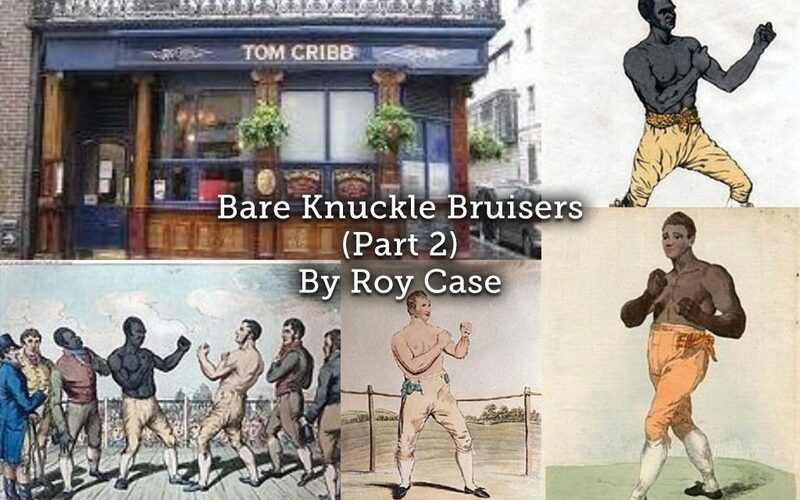 In the years that followed Richmond became a close friend of Tom Cribb, and the two ex-pugilists could often be seen conversing late into the night at Cribb’s pub, the Union Arms. It was there that Richmond spent his last evening, before he died aged 66 in December 1829. 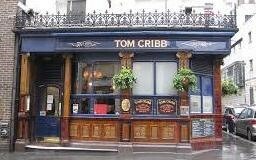 Tom Cribb [1781–1848] was born near Bristol, and moved to London at the age of 13. After a spell working as a bell-hanger, he sought work as a coal porter in Wapping, before commencing his professional career as a fighter. Standing at around 5ft 10inches tall, Cribb weighed in at about 200lbs, and although considered by some to be slow, he was awkwardly effective. 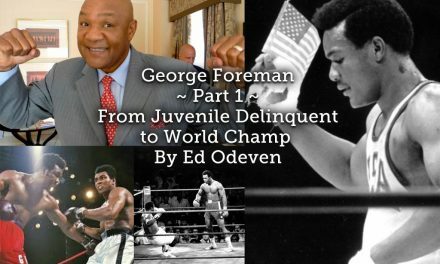 He was a hard, accurate puncher, and a good wrestler, which was important in those days, and incredibly durable, refusing to quit in spite of suffering brutal beatings in many of his fights. 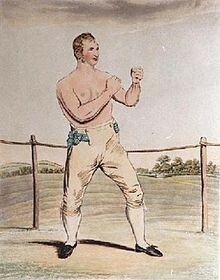 When he retired from the ring in 1812 aged 31, he resumed work as a coal merchant and boxing trainer. And later became a publican and ran the Union Arms in central London, which was later commemorated in his name in recognition of his career as a fighter. Cribb died in 1848, aged 66, and is buried in the churchyard of St. Mary Magdalen’s in Woolwich, where a monument is erected in his memory. In 2014 Cribb’s fights against Molineaux were referenced in the play ‘Prize Fighters’ by the Bristolian theatre director Ed Viney. In 1892 gloves were introduced, which would lead to the evolution of the sport with we are familiar with today. 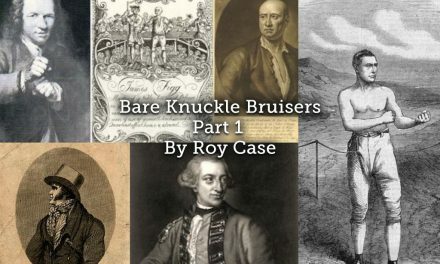 Though it is now legal within the United Kingdom, bare-knuckle boxing has no official regulating body, and is not governed by the British Boxing Board of Control. Even so London’s O2 Arena hosted 14 fights last year with an audience of 2,000 spectators.